Welcome to the official website of the Atascocita Forest Community Association! Here, residents will find important and helpful information and resources relating to the neighborhood and to the local community. Some of the content on this website is viewable only by registered, logged-in users. All registration requests must be reviewed and approved by an HOA Board member. Only residents who reside within the Atascocita Forest HOA area will be approved. Before registering, please check the AF HOA Sections page to ensure that you live within the AF HOA area. If you have any problems with the website or have any questions, please feel free to contact the website administrator. HOA BOARD MEETING: The April meeting scheduled for April 8th will be held at 6:30 pm at the Atascocita Forest Community Pool located at 17415 Woodland Hills Dr, Humble, TX 77396. YARD OF THE MONTH: It's that time of year! 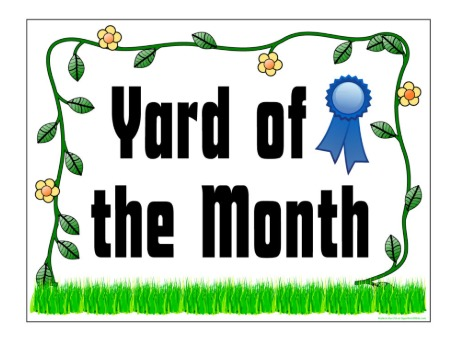 Due to the recent amounts of rain, Yard of the Month will begin in April and run through September for 2019. Each month, the board will select a resident that demonstrates extra effort in maintaining their property and contributes to the beautification of our community. So, rake those leaves, mow and edge those lawns, and plant some Spring flowers. Time to get those yards looking beautiful and help keep Atascocita Forest looking great! This is the official website and voice of the Atascocita Forest Community Association and its Board of Trustees. Any other web site or social media page or group is not endorsed by or affiliated with the Association.